Well, we are offering a wide range of products of the same quality as those formerly on sale in our old shop, which was based at Phytobotanica. This is no longer in existence, but we have risen, phoenix-like from the ashes of our former endeavour. I am now standing behind a virtual counter to help with any information you may need about our products, and will pack and despatch them to you in quick time. One great thing about the new website is that you will be able to read articles by Dr Jane, and take part in online tutorials with her. The popular talks and lectures Dr Jane used to give on the farm will now be translated into web dialogue in which you can take part. Keep looking at the Homepage for details, and let me know if you have any thoughts on any of the topics which may be raised. Please let us know what you think of the site, either through this blog or Facebook. I'm sorry to say that our shop on the farm has closed, but I have started a new internet shop, which is just about ready to 'go live' as www.phytoessentialoils.com and I hope you will take the trouble to pay a visit. The blog will continue with news and information on the new site, plus listings of all our products, so please let me know what you think about it. 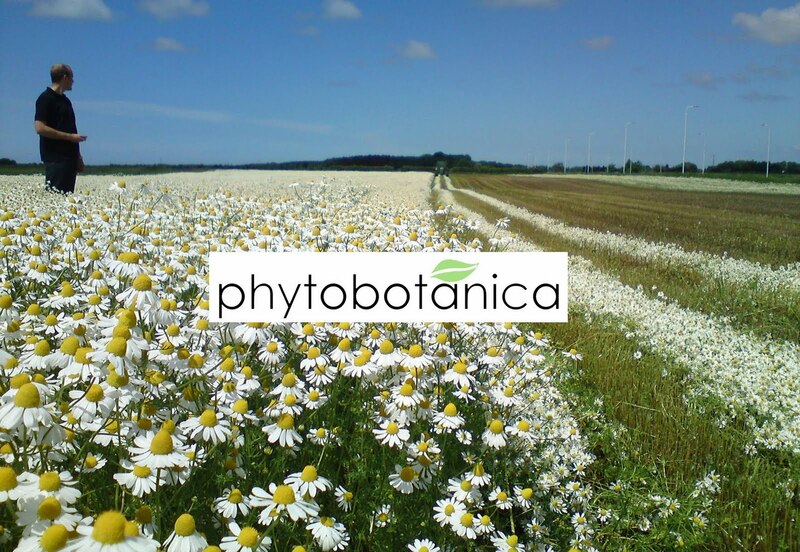 In the meantime, please DO NOT ORDER FROM THE PRESENT PHYTOBOTANICA SITE, because we cannot guarantee to supply from there. I would like to take this opportunity to thank everybody who has visited this blog, and I hope to hear from you soon. This pretty plant, which looks like a large daisy (as you can see from this photo of last year's harvest), has remarkable properties. The essential oil, extracted from the plant by steam distillation, when added to a smooth moisturising cream base is very effective for treating skin conditions, especially eczema and psoriasis. Our Roman Chamomile cream is probably the best selling line in the shop, retailing at £6.00 for a 60g jar. But chamomile has other properties. It is of proven value as an anti-inflammatory agent, and can be mixed with a carrier oil such as Grapeseed or Sweet Almond to make a pain-relieving massage blend. Many customers with arthritis, rheumatism and various other sorts of joint or muscle pain, speak of miraculous results after a few applications of our Roman Chamomile Massage Blend. It's simple to use: just take a small amount of the blend (about the area of a 10p piece) in the palm of the hand and work it into the painful area, massaging gently for about 3-5 minutes. If you do this twice a day, morning and evening, you will find that the pain will soon begin to subside. We offer a 50ml bottle of Roman Chamomile Massage Blend for £5.00 (including VAT), available in the shop or on mail order. These are just two of the amazing properties of the chamomile plant. Of course, if you just want to relax, you could follow Peter Rabbit's advice and enjoy a cup of Chamomile tea, or visit the farm and enjoy the unique fragrance of the chamomile fields.